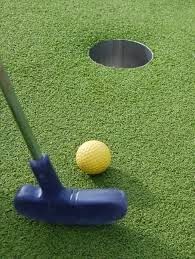 The evening event will be a casual networking event featuring a beer and wine tasting as well as rounds of mini golf. Last year this event was our most successful fundraiser, bringing in over $3,000. The funds were used to provide educational programs for children and adults as well as books and supplies for the library. Tickets are available at the circulation desk at the library and online for the wine and beer tasting at the advance purchase donation of $15.00 they will be $20.00 on the night of the event. Tickets for the mini golf tournament on Sunday are $5.00 each (kids under 3 are free) and may be purchased on the day of the event. There are still opportunities available for sponsoring the library’s event. For more information call Rebecca at 508-472-7071 or email at rebeccamcgrath@morseins.com. Individuals, neighborhoods and businesses are invited to sponsor a hole for only $250.00 other sponsorship opportunities are available. Donations of food as well as items for raffle prizes are also greatly appreciated. The Mini-Masters fundraiser is being organized by the Friends of the Bridgewater Public Library. The Library will not be open for business during these two events.